I found this little pub on the old port that is quite nice. 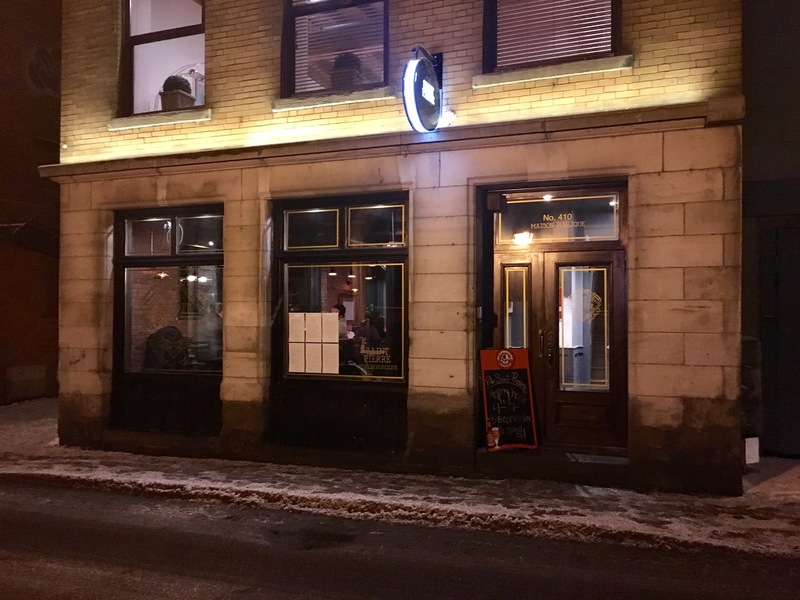 Pub St-Pierre is in the old port on St-Pierre street and it’s been open for about 7 months. The pub is not very big and has a nice warm decor. With low and high tables and a main bar it’s a pretty good place to get together with friends for a drink or even watch a hockey game. The menu is very reasonably priced and has several options to choose from that range from burgers to more elaborate dishes. 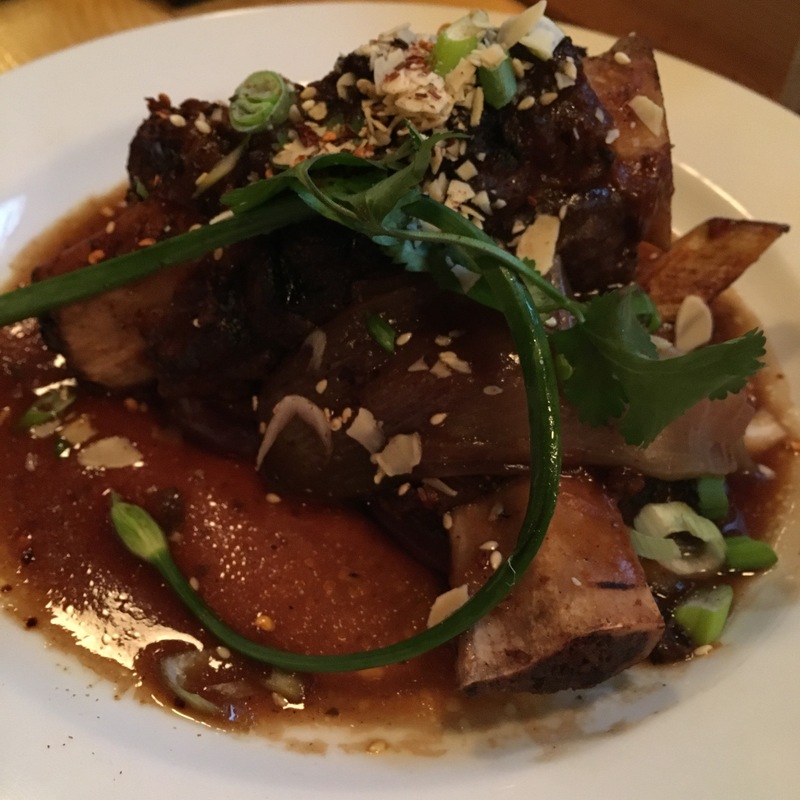 On my visit I tried the Thai braised beef ribs, the oysters and the Lamb Wellington. Oysters were good but the ribs were very tasty. The ribs comes in different portions of 1, 2 or 3 ribs. I would strongly suggest going for 3 even if you are planning to eat something else. 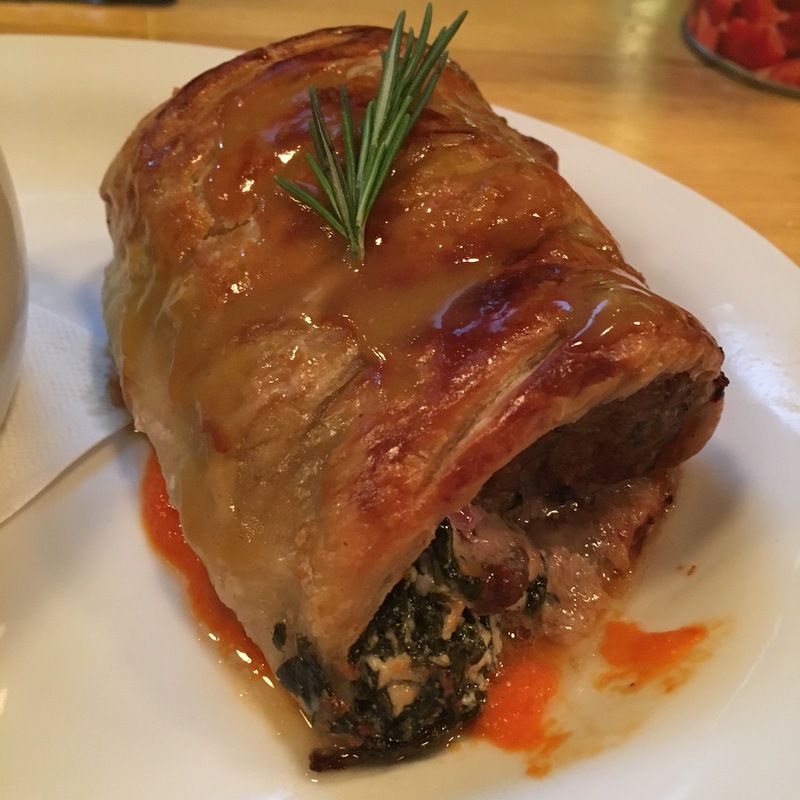 The lamb and spinach Wellington was also very good, baked in a puffy pastry with feta and oregano the taste really come together. 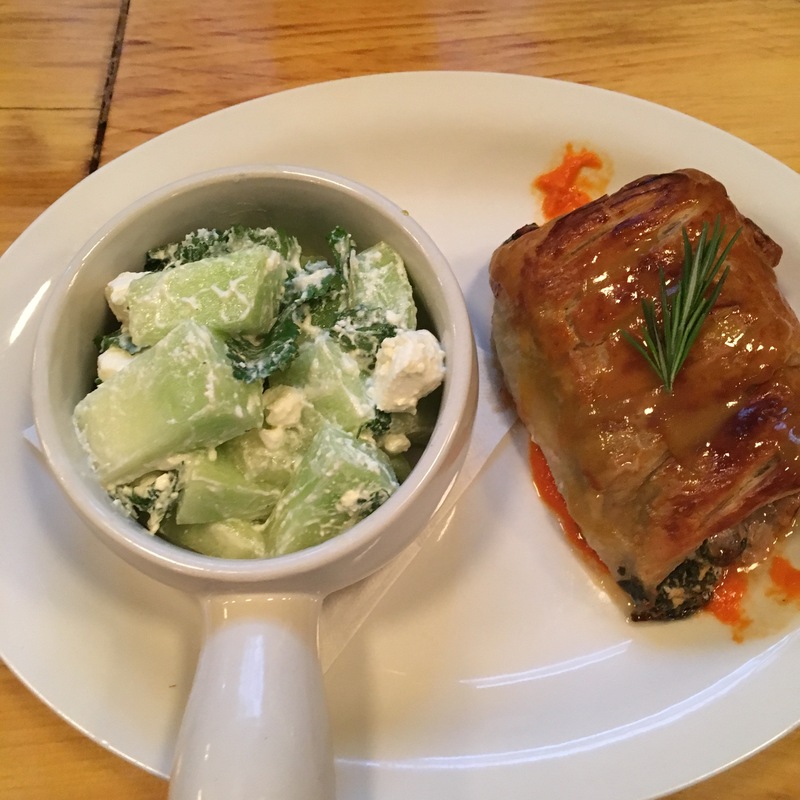 It was also served with a feta and melon salad and I was surprised at the mix of taste and how the salad been fresh complemented the main dish perfectly. They have a restaurant licence so you will have to order food if you’re looking to have a few drinks. 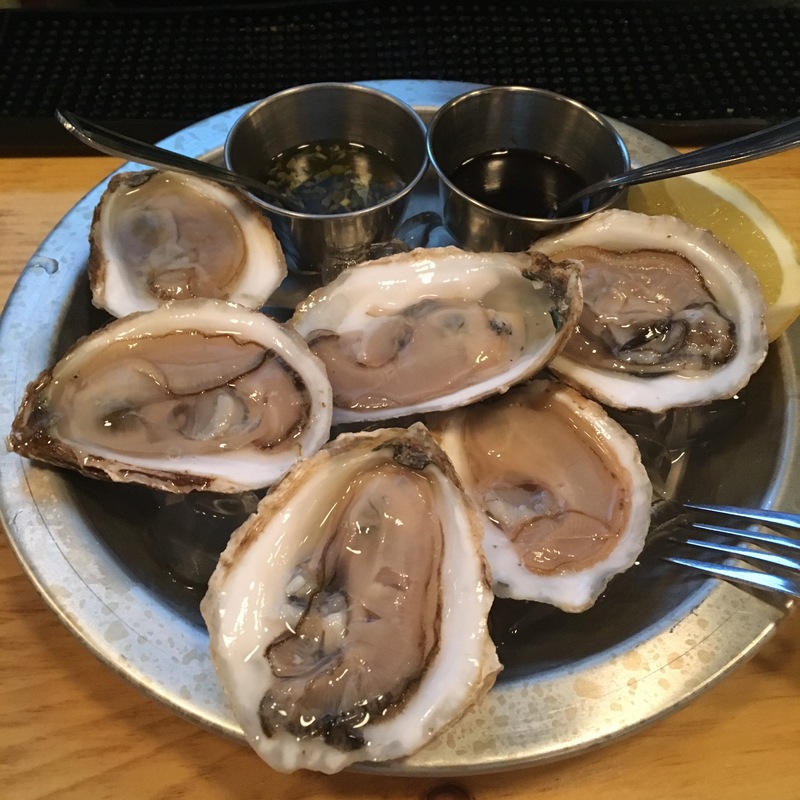 With the different choice and portions that they offer and I forgot to mentioned that they also have a bar menu, you will be able to find something to munch on while enjoying a drink. 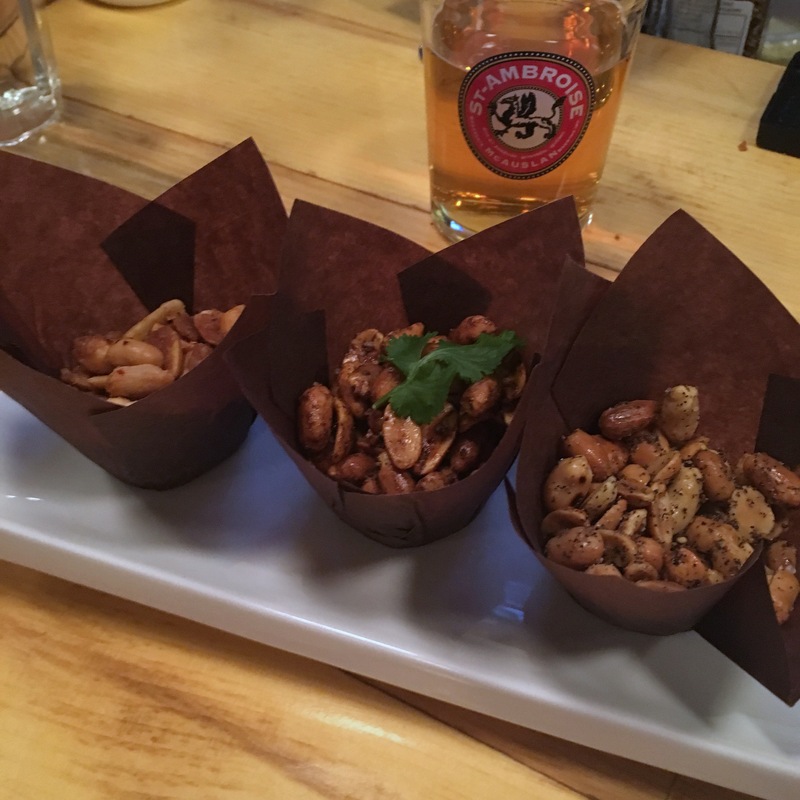 Their assortment of mix nuts is also pretty good my favorite been the curry ones.